I was moving as fast as my legs could spin that cycle and I was hurting. It was minute eleven of a sixty minute spinning class. It had been a while since I braved the spinning class and my body was not real thrilled with me. I started thinking about how I could make an exit without looking like I had just wimped out and then it hit me: Quitting isn't an option. It's one hour of my otherwise busy but still, easy day--a few more classes, and I'll be conditioned to endure without these meltdown thoughts of failure. One of my favorite things about working out at the YMCA is seeing so many people taking control and choosing change. It's so inspiring. The membership at our YMCA has exploded since they opened the new facility. New faces of hope, strength, and triumph are everywhere!! It's beautiful. I recently accepted and performed a stand-up routine at a benefit fundraiser for the Cherokee Strip Museum in Arkansas City, Kansas. It was the first time in a very long time that I was speaking before a crowd about anything other than weight loss. And it was fine, but it wasn't passionate. It was OK, but it wasn't life changing to me. It was familiar, until I looked at the images afterward. My stand-up always centered around my size and now, well---I couldn't take that easy way out. And the man I was seeing on that stage certainly wasn't what I remember. Sometimes, even after awhile--I get taken aback by my smaller size. It's a friendly reminder of how far I've come--and it feels so amazing. Do I still have some work to do physically? Absolutely--but I'm thin compared to what I was at over five hundred pounds. When I casually mentioned that I once weighed that much, there was a collective gasp throughout the room. I don't know why I mentioned it really, because it didn't have anything to do with my set--I didn't have any jokes about my weight or previous weight, so I don't know. Maybe I somehow missed that big guy up there, trying to make people laugh no matter the personal expense, and this awkward mention was just an uncontrollable blurt from where my mind was lingering...on old Sean. I have zero desire to do anymore straight stand-up gigs in the future. This one was for charity and that's cool, but no more stand-up. The passion I feel when I'm talking about losing weight is like stand-up times a thousand. I'll stick with my true passion. The speaking engagements are starting to come more frequently. I have three scheduled for the first two weeks of April, one in May, and I just MC'd the Lose To Win Awards for Ponca City Medical Center. Participants lost over 2,500 pounds in eight weeks. The program had a 75% retention and completion rate--compared with 32-35% at other programs around the country. That's HUGE!!! 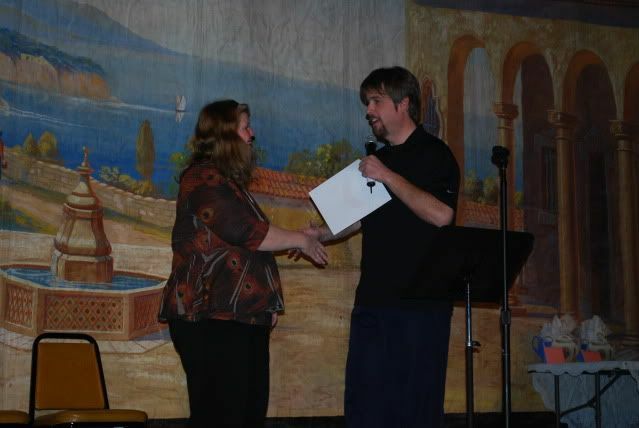 I had the pleasure of handing out $5,500 in checks on behalf of the program, to the biggest losers. And it was my pleasure to deliver a brief keynote. I talked about how losing was wonderful, but what's really important is the gaining. What did you gain from the experience? I've gained so much from my personal transformation. I've gained freedom, life, confidence, self-acceptance and love, I've gained better health, I've gained years, and so much more. I also talked about something that has been kind of an unwritten theme of this entire journey. Sometimes, you must work on the solution before you can correctly identify the problem. Day one on this blog was fairly simple in terms of what I was going to do. I was going to stay within the bounds of my calorie budget and walk a little bit. All of the epiphanies came as I progressed down the road. I was working the solution first and really understanding the problem later. It sounds completely backwards...Don't we usually identify the problem and then try to figure out the solution? But how can we fully see the problem when we're right in the middle? You've heard the expression "from the outside looking in...," I had to get outside of my problems---work the solution, then reflect back in order to see a very clear picture of where I was and why I was. Really--this goes back to something I've talked about many times---and that's simplifying the process...don't over-complicate. Keep it simple, work the solution, then clearly see the issues when you get far enough away from the storm. This thought process---along with the "wrong battle" analogy, are the type of outside the box thinking that has helped me really break through. My new website is up in a very simple "under construction" mode. You can visit www.transformationroad.com ---You'll find a link to my Twitter and Facebook accounts there---and I hope you'll add me as a friend. You'll also see a "contact" link with my transformationroad email account. This new site will eventually be the home base website of all of my endeavors. I plan on expanding the site in many different and exciting ways---so please stay connected via facebook, twitter, and right here on this blog. I'll keep you posted!! Hi Sean……I was just wondering in the beginning of your journey how did you cope with falling back into your old eating habits?? I started my “new life” Oct 30, 2010 and stuck to it all through the holidays and have lost 30 pounds but when I started to plateau and I started getting discouraged and started slipping up. I still want to lose about 50 more pounds but have found myself stuck. I was wondering if you had any words of encouragement……actually I know you will! I must be a stress eater because I’ve had a lot lately. I am not really a bored eater because I stay pretty busy all the time. 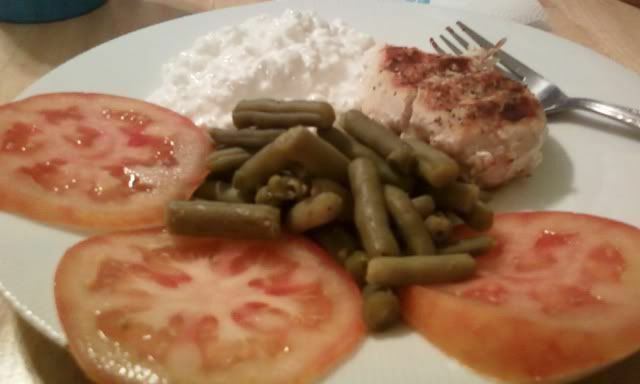 For me it is just making the wrong food choices, I am usually on the go and need quick meals. I need to get out of that bad habit, I know, but it just not knowing how! Well, I was just needing some encouragement and hoping you could help! It can be extremely easy to allow a combination of success+comfort in your smaller body+stress+plateau= Returning to your old behaviors. I've experienced that too along the way. This is the time when you really have to look at yourself in the mirror and realize that it's "crunch time." Dig deep and stir up the emotions tied to your motivating thoughts---and feel it, Katie. 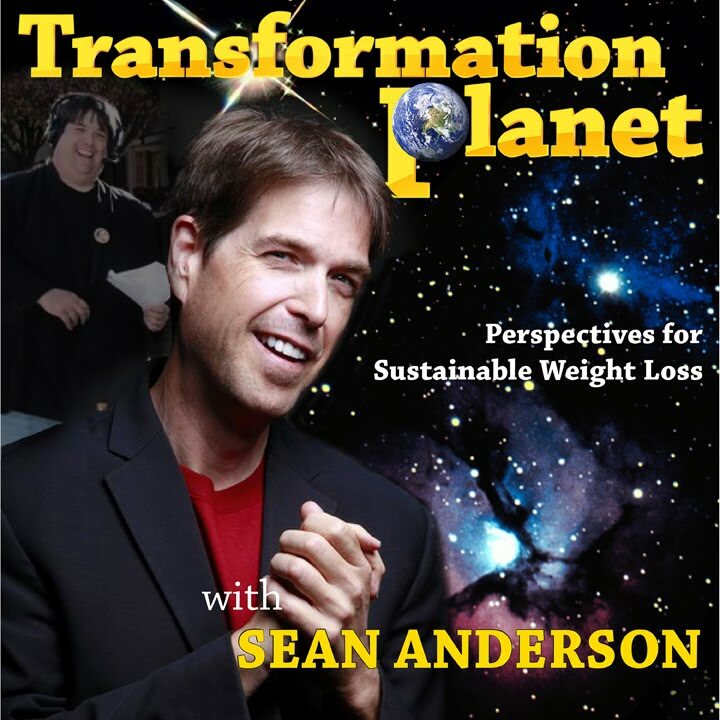 Where do you want to go with your transformation? How much weight do you want to lose? Is it a true plateau or is it the results of inconsistency? Answer these questions--not to me, but to yourself. Get that fight back---and know, that you have the power to accomplish this goal. You're not stopping half way--You're going all the way, my friend. Realize who/what you're really fighting. It's not food---it's you. When you fully embrace the real fight---then, the food issues will work themselves out. Does that make sense? I knew that I had to maintain the integrity of my calorie budget at all cost---so, when I was running behind---or in a "bad choices" environment, I still understood that I had a set limit....and the choices I made in that moment, would determine if I was going to feel satisfied or cheated. If I blew 500 or 600 calories on something crazy--that I would consider a "bad" calorie value---it still didn't give me permission to break the bank and go over. Treating those calories like cash was so very vital. When the money is gone, it's gone. It really forces the issue of fighting ourselves in moments of weakness. The stressful triggers---oh my---so many---BUT...I knew going in that I was an emotional eater. Stress would send me running to food everytime...so when life would start raining down, that;s when I had to fight the hardest. No more was the circumstances used as permission to eat as much or whatever...because it is a destructive cycle. Eating to forget---finding that temporary escape to something good. I had to replace that "good" with feeling good, about winning the battle within me to deviate from my plan. When you hit the pillow at night--you want to be confident that you've done everything you needed to do to be successful that day. It's a peace that comes over you...you know when you're "on," and how good that feels. Make that the goal every night---hit the pillow knowing that you're doing it this time---and NOTHING will stand in the way of you hitting goal. Stay true to yourself---exercise---eat enough---and drink plenty of water---and don't worry, you'll break away from that nasty plateau. But the biggest thing---battle yourself--and after a while, you'll become the most amazing friend to yourself. It's a wonderful place to be---where the battles are over. Don't get me wrong, we always have to check ourselves every now and again--but seriously, you can find that groove. It's very peaceful. My best always, Katie---Rock this thing---because, seriously---YOU DESERVE TO FEEL AMAZING ABOUT YOURSELF. YOU DESERVE TO BE AS HEALTHY AS YOU CAN BE. YOU DESERVE TO FEEL THIS GOOD!!!! Thank you Ron for your spirit and showing us all--that NOW IS THE TIME!!! That's a bunch of reading, my friend. I'm honored--thank you again. Cathy Cole was the Biggest Female Loser--41.3 pounds!! I'm presenting her with the check!! She's doing so amazing!!! I'm thrilled for her---wow!! 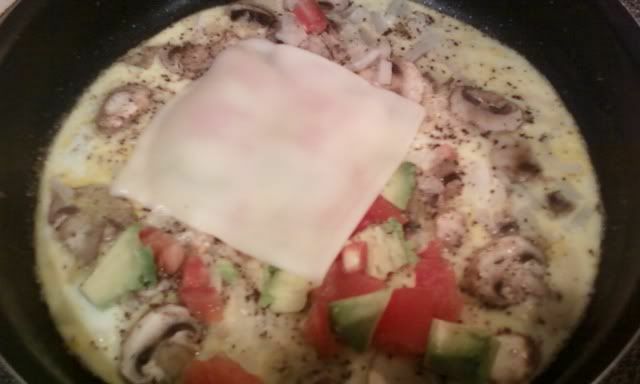 I love omelets--Especially when I cut the calories way down by using some egg whites mixed in with a whole. 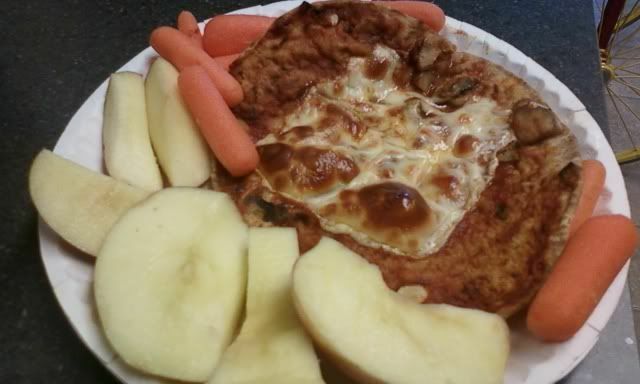 Good food, great calorie value! I love fish. 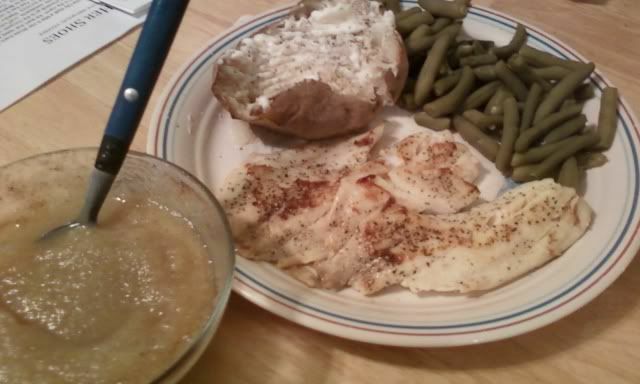 Talapia with green beans and a small baked potato--side of apple sauce--with cinnamon---I love it!!! I've received many emails, facebook messages, and a couple of blog comments--all expressing concern over my lack of blog posting. I sincerely appreciate the outpouring of support and understanding! "Just when I get hooked on your blog, you stop writing! :( I know you're a busy guy, and I hope life is treating you well! Reading years' worth of posts in the last month got me all involved in your daily life, so going cold turkey is hard!" "Are you really that busy, you couldn't post something, anything? It makes me think you might be struggling. If you are, you need to email me and let's chat. You're a wonderful example for so many, but never forget, you're also human." "Hi Sean! I've missed you in blog-land. I hope this silence only means you're busy, not that you've been overeating. If you HAVE been overeating, I hope you trust the online community enough to know that we're still behind you!" "The monthly diary of a winning loser." I understand and sincerely appreciate the concern. My relationship with food does not change, regardless. I like the place I've found in that relationship. Is it perfect? NO. But again, perfection has never been a part of this journey. What I'm not doing is binging. I'm not curling up on the couch with a half-gallon of ice cream and a spoon or eating four bowls of cereal before bed. I'm not ordering and devouring a large pizza, just because. I did have pizza last night as a snack, but instead of a calorie laden pie from a restaurant---I made a 170 calorie mushroom and mozzarella pita pizza. It was delicious and satisfied me perfectly. While dining out, I always share or I order exclusively from the child or senior menu. I always order water and I never leave feeling stuffed and miserable. A very telling fact is this: Since starting along this road in September 2008, I haven't once needed or sought the relief found in antacid products. If you've read through the archives, you know that "passing the Zantac" was a regular part of our after dinner routine. Not anymore. Not needed. And I feel great about that. Where do I come up short? In the exercise department. I've used every excuse in the book to keep me from a regular and consistent workout routine. I'm beginning to realize that the changes I've made in my attitude and approach with food, are not the same changes I've made with my commitment to exercise. 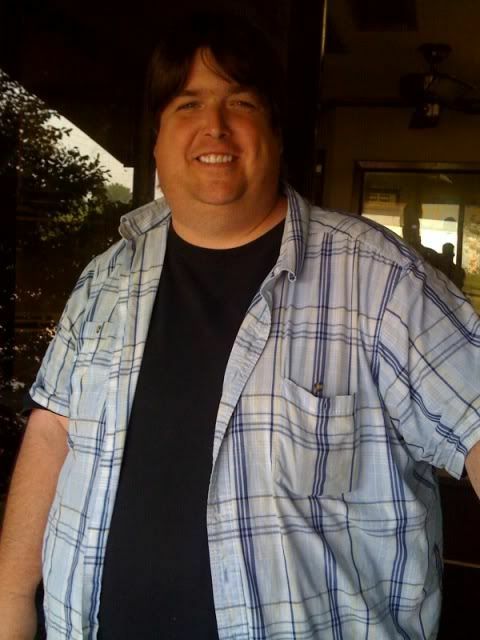 My success in losing nearly 280 pounds is a product of consistent effort. Yet, I've allowed myself to get "comfortable" with my success, and that has translated into a very inconsistent workout schedule. This dynamic is at the top of my list of things I want to change immediately. I'm not done. Far from it in fact. Hitting 230 was a goal and I accomplished that. But it's not, nor should it ever be about a number on a scale. It's about how we feel, it's about how our clothes fit, it's about lovingly caring for ourselves---and that means getting that workout in, in some form or fashion, regardless of schedule. When I started, I was a busy guy--But read the archives or ask my family members--My schedule didn't and couldn't stop me from being out there on the trail, walking off the pounds every night. It was non-negotiable. So--it's a very real and human thing, to reach a certain point where the life or death urgency isn't there...a point where I'm thrilled when I look in the mirror, because it's such a dramatic improvement from where I've come...a point where it's very easy to say: "Yeah, I have some major fitness goals, but I'm so busy and focused on these other projects---soon, I'll find time to get in there and get consistent again. I just have to get this project finished--or that changed"---or whatever it is that I can cling to, to make myself feel better about not working out. The only area in my life that I accept zero excuses and rationalizations, is my behaviors with food. And that's good. But in order for me to be all I want to be--I must denounce---and pounce on every excuse and rationalization that threatens other areas of my well being. I've often stated that overcoming and managing compulsive eating and food addiction is my strong point, and it is, without a doubt. But still, it's like I use that occasionally as an excuse to pardon my lack of performance when it comes to working out. Is this all I want? Where I am physically, right now? NO, it's not. I must choose the change I desire before changes come as a result of my lack of good choices in the workout arena. Because not choosing the change, is still making a choice. "We set an example with our powerful choices, we inspire with our amazing success, we understand because we've been there, and we never stop learning. We're all weight loss superheroes, capable of wonderful things--and as we succeed, our ranks grow exponentially. I have the power--You have the power. We all do. ;) Good Choices, my friend!" I dove into the archives and found an excerpt that I wanted to share. It doesn't have to be to "a gentleman," it can be to you, if it fits. "To The Guy Back There Where I Started"
I don't know your name, what you look like, or anything about you other than a couple of clues I've been given. I know that you're right around 500 pounds and I know that you have loved ones that care deeply about you. That's all I know for certain about you. But I'll take it a little deeper. I was over 500 pounds for years, so I can safely assume that perhaps you're feeling some of the emotions that became a fixed part of my life for so long. You might feel completely hopeless, I did. You might feel like you're out of control, I did. You probably turn to food when you're stressed, scared, sad, happy, it doesn't matter the occasion or emotion huh? Yep, me too. It's hard to get around isn't it? A short walk can feel suffocating, I know. Maybe you feel like your weight has started chipping away at your personal relationships, I know I did. Are you scared of dying like I was every single day? Be honest, when a little twinge of pain crosses your chest do you start praying it's anything but what you fear the most? I sure did. Is your wardrobe severely limited because of your size? Mine was. I once wore the same pair of pants every day for six months straight, washing it every couple of days, just because it was the only pair that fit, and driving to OKC or Tulsa to buy more was too inconvenient. When you get scared for your life, do you feel like you're in a non-stop self-destructive cycle? Please say you haven't given up. I never did. Listen, I knew that if I kept going I would die very soon. Only God knows how soon, but soon for certain. I also knew that I had to be the one to stop the endless cycle. I had to get very honest and very serious with myself. You're not hopeless and you can do this. I'm not special, I don't have any kind of secret potion, I'm not perfect in any way. I'm just a guy who knew that if I really wanted to live, and I mean really live, I had to do something now. I'd argue that I'm no different than you my friend. 192 days ago I reached my limit. My world was becoming unraveled, my weight was doing it's best to crush me and any sliver of hope I may have had for the future. Can you relate? I bet you can. I'm here to tell you that you can reclaim your life. You have the power within you to do amazing things, and grabbing control of your weight is just the beginning. But how? I'm not going to say that my way is right or wrong, bad or good. It's what I did. I immediately started eating 1,500 calories a day and exercising however I could, and trust me, it wasn't much, but remember, anything is better than nothing. And you'll be amazed at how far you'll progress along the way if you stay consistent. Read the labels, buy a calorie book, look calories up on the internet. All the information you need is out there. Even before you do that, it's very important to sit down and have a long internal discussion with yourself. Write down what you want out of life. Dream a little! Get it on paper or on a computer screen, whatever, just write. Form your motivating thoughts and hold onto them tight, you're gonna need them to get through this. Make your motivating thoughts one of the most important things you think about daily. Then DECIDE that you will defend the pursuit of those desires every waking minute. DECIDE to live, DECIDE to change, DECIDE to once and for all take a stand for yourself. Stand up and demand respect from the one that has given you the least, and that's you. DECIDE that it isn't going to end this way, obesity is no longer in charge of your destiny, you are. BELIEVE you have the power to render powerless every hang up that stopped you before, because YOU DO. DECIDE that no matter the struggles in your day to day life, one thing will never be compromised, and that's your commitment to this journey. Don't do what I did for years, I don't know you , maybe you've done it for years too...Don't lie to yourself. Don't assume you have time to worry about it later. DECIDE to do it NOW and leave the worry behind. I'm right at about half way through my journey, and I've never been happier. That happiness I speak of comes from hope that I never had before. That happiness exist regardless of my current circumstances. Regardless of the stress level from whatever it is that's stressing us out, that happiness and hope remains and carries us through. DECIDE that you're worth it, because YOU ARE. DECIDE to LOVE YOURSELF enough to make the changes that will set you free. Listen, I've never been one for dramatics, and I know this page is full of dramatics, but please know that it comes from a very sincere place. I wish you could take my place and feel what I'm feeling. Please go back in the archives and read from day 1. Every day is indexed on the left hand side of the page. And if you want, send me an e-mail and we'll communicate directly. Whoever you are, best wishes. "Thanks again for sharing your heart. My prayers are with that person...in fact persons, who are struggling to begin the dream. I hope they will take time to read your blog from Day 1. It has been so inspiring to me." You see...This blog, to me, isn't about the latest post. It's mainly about the twenty-two months of daily posts, seven days a week....everyday, every night...one to three hours of writing. The investment I made, continues to help me today. Because I wasn't just writing, I wasn't just trying to stay afloat or tread water. I was learning to swim. And the lessons I've learned along the way stay with me today. Albeit much stronger and focused in the food behavior department, rather than the gym, but we've discussed this already. Now--do I think I need to write this blog more often to help me stay accountable in the workout department? YES. YES, YES!!! 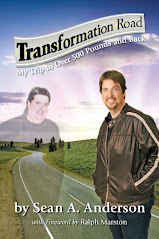 Look for more post from me, more often, as I'm about to finish the manuscript for my book "Finding Transformation Road--Breaking The Rules Of Weight Loss To and From Over 500 Pounds." This book has been exhausting. It's an obesity memoir---from five years old to the present day. Wow--it's been an amazing ride. I've shared things in that manuscript that I never shared in the blog--wasn't brave enough to share them, but it will be out there...soon. I can't wait for that day. I promise--it'll be worth the time to read. More details as soon as I have them!! Thank you for reading, thank you for your support, thank you for everything. You absolutely lift me up in so many ways. I hope that you'll friend me on facebook and follow me on twitter. 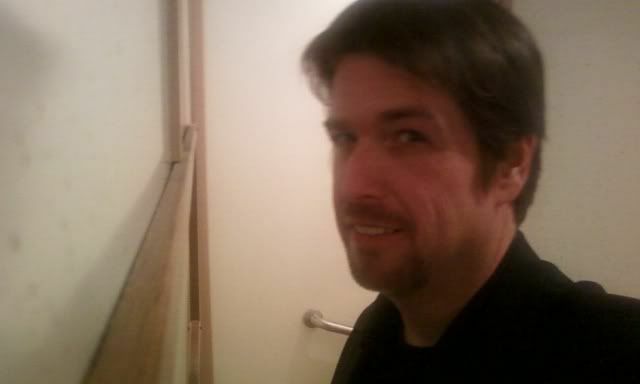 On facebook, just search using my email address: seanboy105@hotmail.com and on Twitter, you'll find me as @seanaanderson I'm horrible about updating my twitter feed--but I'm very consistent on facebook. Join me! Because I'm making weight loss motivation and inspiration--and sharing my experiences, what I do--for the rest of my life.